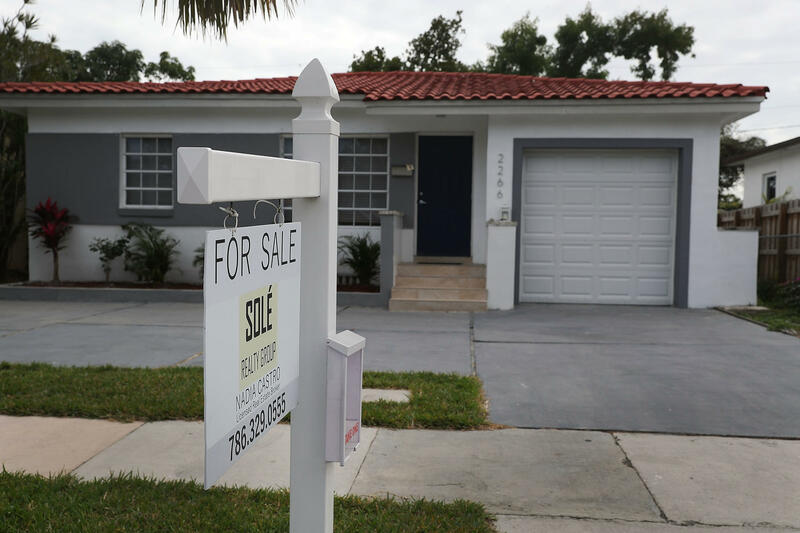 A "for sale" sign is seen in front of a home in Miami on Jan. 24, 2018. The partial shutdown of the federal government is causing some financial problems for furloughed workers who can't refinance their mortgages or buy homes because lenders can't verify their income. The partial shutdown of the federal government is causing some financial problems for furloughed workers who can't refinance their mortgages or buy homes because lenders can't verify their income. But unpaid federal employees aren't the only ones running into problems. Libby Anderson, for example, got her final divorce decree on Tuesday. She'd hoped that would mean her ex-husband would finally move out of their Des Moines, Iowa, home, where they've been living separate lives under one roof for eight months. 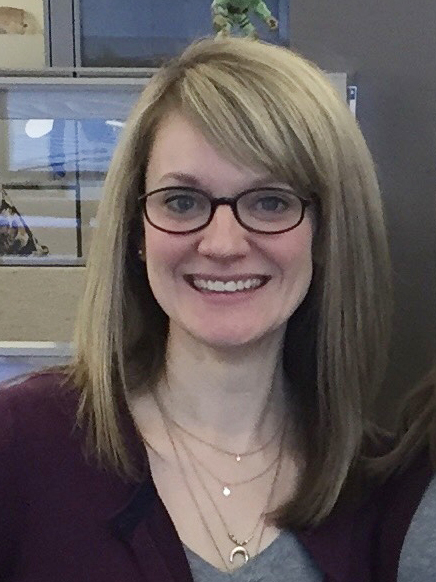 Libby Anderson got her final divorce decree on Tuesday. But her ex-husband is a furloughed air traffic controller, and the shutdown means he can't reach someone to help him split his government retirement account with her. She needs those funds to refinance the house under her name. "I mean, we were really going to take care of it today — the day after it was final — and then he would be out," Anderson, a marketing researcher, said in an interview on Wednesday. Anderson's ex-husband is a furloughed air traffic controller, and the shutdown means he can't reach someone to help him split his government retirement account with her. She needs those funds to refinance the house under her name. And he can't qualify for his own mortgage because he hasn't been paid for three weeks. The government stalemate also means they haven't explained the pending change to their young son. "We don't have those answers yet," Anderson says. As the shutdown drags on, more people will find themselves facing similar roadblocks. Refinance applications are booming as mortgage rates fell nearly half a percentage point in recent weeks. But furloughed workers can't lock those rates in. Anyone looking to buy or refinance may have a harder time getting through to federal agencies to verify income taxes or get certain loan information from the Federal Housing Administration, which remains closed. Rural home loans guaranteed through the Department of Agriculture are on hold, too. Margie Hofberg, president of the Residential Mortgage Center in Rockville, Md., near Washington, D.C., says her business will likely see a ripple effect. "If I can't close and buy your house, then guess what? You can't buy the house that you were buying even though you don't work for the federal government," she says. Two deals nearly fell through this week, but Hofberg persuaded the lenders to waive certain paperwork. She says banks' strict requirements of borrowers create many potential snags. "My hope would be that the lenders start becoming a little more flexible, because it's not in their best interest to not do loans, either," Hofberg says. There's some precedent for these kinds of shutdown-related problems. During the 16-day shutdown in 2013, the National Association of Realtors says, 2 percent of home loans never closed. "The headache really is related to delays," says Lawrence Yun, the Realtor group's chief economist. They affected 17 percent of home loan deals during the 2013 shutdown, largely because of a big backlog. Most deals get done, Yun says, but the bigger worry is a possible impact on homebuyer psychology. "The longer the shutdown, it causes greater uncertainty about the economic direction, which means that even the private sector employees may be less willing to purchase home[s] over time," he says. If the shutdown moves into open house season, that could affect certain markets where there are lots of government employees. "What furloughed employees are going to go out and buy a house right now, when there's no definitive date of a compromise?" says Gregg Busch, vice president of First Savings Mortgage, a big player in the Washington, D.C., area. He says it will likely especially hit government contractors, who outnumber federal workers. "There's a lot of contractors here that aren't getting paid," Busch says. "People who own those companies, they're not going to buy, be able to refinance and they're going to start laying people off." For Libby Anderson, newly divorced, the shutdown cannot end soon enough. While her breakup with her ex-husband has been amicable, she says sharing space is taxing. "It just feels like you're at the finish line and the finish line keeps getting moved, but you're exhausted," she says. "There's not much you can do about it. You can't move the finish line closer because it's totally out of our control." The latest her ex-husband expected to move out was April 1. But now, Anderson worries the shutdown could go beyond that date. "Obviously I wouldn't kick him out into the street," she says. "But we really both need to move on and and have some physical distance from each other." It's Day 21 of the partial federal government shutdown, and it's causing big financial concerns for hundreds of thousands of people who aren't getting paychecks today. Here's one example. Some furloughed workers can't refinance their mortgages or buy homes because lenders can't verify their income right now. And as NPR's Yuki Noguchi reports, even those who aren't federal employees are getting stuck in limbo. YUKI NOGUCHI, BYLINE: Libby Anderson's (ph) divorce finalized this week. She'd hoped her ex-husband would finally move out of their Des Moines home, where they'd been living separate lives under one roof. LIBBY ANDERSON: It was going to be, you know, as soon as today. I mean, we were really going to take care of it today, the day after it was final. And then he would be out. NOGUCHI: But, no. Her ex is a furloughed air traffic controller. The shutdown means he can't split his assets with her, including his government retirement account. She needs those funds to refinance the house under her name. Also, he can't qualify for his own mortgage because he hasn't been paid for three weeks. The government stalemate also means they haven't explained the pending change to their young son. ANDERSON: In a 4-year-old's head, you can't say, you know, Mom and Dad are going to be living in different places, and then you say, well, when, where? And we don't have those answers yet. NOGUCHI: As the shutdown drags on, more people will find themselves facing similar roadblocks. Refinance applications are booming as mortgage rates fell nearly half a percentage point in recent weeks. But furloughed workers can't lock those rates in. Anyone looking to buy or refinance may have a harder time getting through to federal agencies to verify income taxes or get some loan information from the Federal Housing Administration, which remains closed. Rural home loans guaranteed through the Department of Agriculture are on hold, too. Margie Hofberg is president of the Residential Mortgage Center. She says her Rockville, Md., business will likely see a ripple effect. MARGIE HOFBERG: This is going to be a house of cards because if I can't close and buy your house then guess what? You can't buy the house that you were buying, even though you don't work for the federal government. NOGUCHI: Two deals nearly fell through this week, but Hofberg persuaded the lenders to waive certain paperwork. She says banks' strict requirements of borrowers create many potential snags. HOFBERG: My hope would be that the lenders start becoming a little bit more flexible because it's not in their best interest to not do loans, either. NOGUCHI: There's some precedent for these problems. During the 2013 shutdown, 2 percent of home loans never closed, according to the National Association of Realtors. But that one lasted only 16 days. LAWRENCE YUN: The headache, really, is related to delays. NOGUCHI: Lawrence Yun is the group's chief economist. He says 17 percent of home loans closed late due to backlogs. Most deals get done, but Yun says he worries more about possible impact on homebuyer psychology. YUN: Along with a shutdown, it causes greater uncertainty about the economic direction, which means that even the private sector employees may be less willing to purchase homes over time. GREGG BUSCH: What furloughed employees are going to go out and buy a house right now when there's no definitive date of a compromise? NOGUCHI: Busch is vice president of First Savings Mortgage, a big player in the Washington, D.C., area. He notes the impact on contractors, who make up the largest segment of the federal workforce. BUSCH: There's a lot of contractors here that aren't getting paid. People who own those companies, they're not going to buy, be able to refinance, and they're going to start laying people off. And those people, I think, will be most affected. NOGUCHI: For Libby Anderson, the new divorcee, the shutdown cannot end soon enough. While her breakup with her ex has been amicable, sharing space is taxing. ANDERSON: It just feels like you're at the finish line, and the finish line keeps getting moved. But you're exhausted. There's not much you can do about it. You can't move the finish line closer 'cause it's totally out of our control. NOGUCHI: The latest he expected to move out was April 1. But now Anderson worries the shutdown could outlast that. ANDERSON: Obviously, I wouldn't kick him out into the street. But we really both need to move on and have some physical distance from each other. NOGUCHI: Until then they will continue to retreat to separate corners of their house. Yuki Noguchi, NPR News, Washington. MARTIN: And we're following a developing story this morning. Authorities say they have located 13-year-old Jayme Closs. She's been missing since October, when police discovered her parents dead in their home in Barron, Wis. Investigators got thousands of tips. There were massive search parties to try to follow up on those tips. Last night the Barron County Sheriff's Department announced that Closs has been found alive about an hour north of Barron. CBS affiliate WCCO spoke with Closs's aunt, Sue Nyberg Allard (ph), last night. SUE NYBERG ALLARD: There was rumors earlier today. And I prayed and prayed they were true, and they've come to not be true. And I just shut myself totally down 'cause I thought today was going to be the day. Then to find out two hours later that she was found - I just cannot believe this. MARTIN: The sheriff's department says shortly after Closs was located, a suspect was taken into custody. The department didn't provide any further information but plans to hold a press conference later this morning. We'll continue to monitor this story and bring you any developments. Transcript provided by NPR, Copyright NPR.